The Perks of Protein: Does This Nutrient Really Have the Power to Help You Lose Weight? Recently, protein has become increasingly popular for its ability to promote weight loss. Want to shed a few pounds? Simple—just add more protein to your diet. It helps you feel satiated and full for longer than other foods and also helps build muscle, which increases your metabolism. While this advice isn’t necessarily untrue, it’s really only one part of a much bigger picture, and by placing too much of an emphasis on protein, you could be missing out on other important nutrients and even potentially set yourself up for serious health complications. To help get a better understanding of this widely-promoted nutrient, we got in touch with Rachele Pojednic, a researcher at Harvard Medical School with a Ph.D. in nutrition. She says, yes protein is important and can play a role in weight loss, but there are a few common misconceptions that many people overlook. Below, she provides an in-depth explanation. The Active Times: Protein gets a lot of attention as being one of the most important nutrients for weight loss, in your opinion is this “hype” warranted? For those who want to lose weight, should adding more protein to their diet be a significant focus? Pojednic: Protein can definitely be a good way to aid in weight loss, and studies show that higher protein content can be satiating and help keep you from overeating. But you have to be careful about where it comes from. Not all protein is created equal. A study just released in the American Journal of Nutrition showed that of people who interchanged protein for carbohydrates, only 30 percent lost weight, and it was completely dependent on the type of protein. Protein sources such as meats, chicken with skin and regular cheese actually caused an increase in weight. 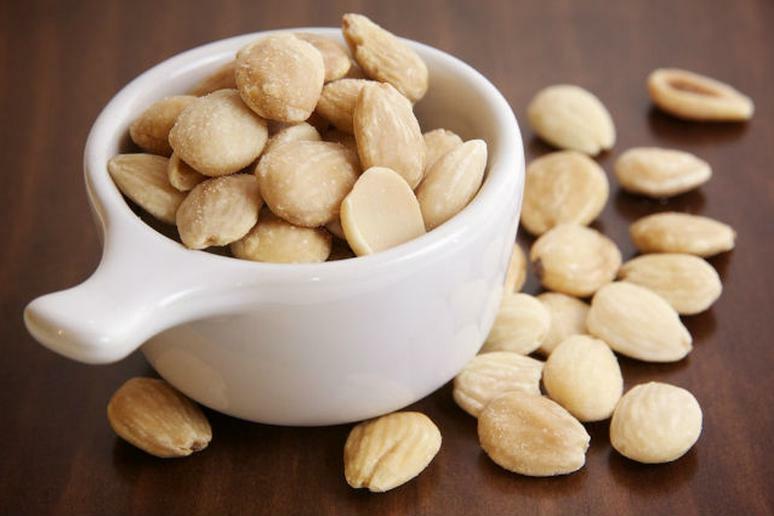 Milk, legumes, peanuts and eggs resulted in no weight change and only yogurt, peanut butter, walnuts, other nuts, chicken without skin, low-fat cheese and seafood resulted in weight loss. How exactly does protein play a role in promoting weight loss and/or healthy weight maintenance? Pojednic: There are many theories as to why protein may make us feel more full, leading to reduced calorie intake and weight loss. One of the main theories is that the amino acid components in protein create a signal via hormones in the gut to turn off hunger signals in the brain. It’s interesting to note, however, that these amino acids don’t necessarily need to come from what is traditionally thought of as “protein” (i.e. meat, chicken, fish and animal products such as cheese). One recent study has shown that this effect can be seen in high-protein vegetarian diets as well as meat-based high-protein diets. Of course, protein isn’t the only important nutrient that we need, could you explain how protein works with other nutrients (like carbs and fats) to promote weight loss and/or healthy weight maintenance and ultimately, a healthily balanced diet? Pojednic: This is an interesting question because the majority of people in the US get more protein than they actually need during the day. Scientific studies show that people need between 0.8 and 1.2 grams of protein per kilogram of body weight per day. But, 97% of us get way more than that. Interestingly, only 3% of the population gets the recommended amount of dietary fiber per day. We are supposed to eat about 30 grams and most people only eat about 16 grams. While protein is often associated with weight loss alone, fiber is associated with weight loss and lower levels of obesity, reduced risk of cardiovascular disease and diabetes, and a lower risk of cancer. Fiber also comes packaged in whole foods such as fruits, vegetables and whole grains, so you also get a huge dose of vitamins, minerals, antioxidants and free-radical-fighting unsaturated fats. So, while it is important to make sure we have enough protein in our diet, it is also essential that we seek out high-fiber foods for a healthy balanced diet. Is there any risk in eating too much protein? Pojednic: Beware excess protein, particularly from animal sources. With regard to diet, you want to make sure you maintain an adequate, but not excessive amount of protein. The great thing about protein (amino acids) is that it promotes growth and regeneration. The bad thing about protein is that it promotes growth and regeneration. When you are no longer growing taller (i.e. an adult), cell multiplication is not a major physiologic concern. You want to make sure you are strong and fit, for sure, but you don’t want rampant cell development in your body. When you eat excess protein, your body has to do something with all the extra building blocks, so it fires up IGF-1, a growth factor that is released into your system. The problem with IGF-1 is that it’s not targeted to your muscles, which is where you would like it to go. It goes to all cells. This has pretty serious implications in cancer cell growth. Interestingly, an association between protein and IGF-1 is most often linked with animal protein and not so much with plant protein. You can get protein from plants—many plant sources are very high in amino acid (protein) content. Watercress, beans (kidney, lima), legumes (peas, chickpeas), and whole grains (oats, wild/brown rice, quinoa). We have been led to believe that protein comes only from animal sources, but this is simply not true. It is true that vegetarians tend to get less protein overall than non-vegetarians, but vegetarians still get more protein than the recommended amount each day and they get more fiber, vitamins and minerals! Combining the amino acids, fiber and, in some cases, unsaturated fat from these vegetable sources may actually be more beneficial to health and for maintaining a healthy weight in the long run.